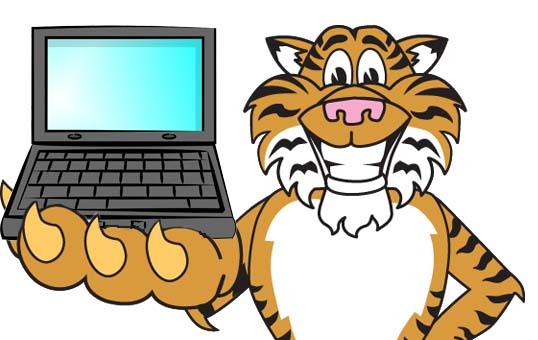 I wasn’t a fan of the Tigers’ offseason strategy – that won’t surprise anyone who reads the site regularly. Up to that point, Dombrowski had made very few missteps as the Tigers’ GM, but he didn’t impress me this winter. Well he nailed the deadline…or he almost nailed it, but we’ll get to that in a minute. The Tigers needed to upgrade in order to be a true playoff contender. The biggest opportunity for that upgrade was in the bullpen, the second biggest was in the outfield. The bullpen came first with the Tigers nabbing the best reliever on the market in Joakim Soria. Dave paid a steep price by losing Corey Knebel and Jake Thompson, but those players weren’t going to contribute until at least 2015 and Thompson was probably not coming until 2016. The price was high, but the future matters much less to the Tigers than to the average club, but we’ll get to that in a minute. The Tigers need to do more, though. And then Oakland pushed the chips in and grabbed Jon Lester this morning. The AL rival isn’t messing around and the Tigers needed to follow suit. For a while, Andrew Miller seemed like a nice option to upgrade the bullpen, but Dave had other ideas. Enter David Price and the Rays. The best player on the market and one who is under team control for 2015 as well. The Tigers had holes in the bullpen, but adding to the roster is adding to the roster. An extra win in the rotation will do the trick just like one in the bullpen would. At least for the regular season. Not only did Dombrowski grab an upgrade for the stretch run, but he replaced Scherzer for 2015. Great. The upgrade is a little offset considering that the Tigers had to give up Smyly to do it. They also lost Jackson. And a very nice prospect. Price is an upgrade over Jackson and Smyly for the rest of the year and probably next season as well. It will cost them in the checkbook, but they have plenty of room to carry Price in that regard. Adames could really help the Tigers in 2017 or 2018, but that’s a long way off. He’s the cost of doing business. Price makes them a near lock to wrap up the division and makes them even better in the postseason. Maybe getting three relievers instead of a reliever and a starter would be better in the postseason, but Price makes them better than they were otherwise. And then he helps next year too. Theoretically, the Tigers could have done something better than this, but this was the Tigers grabbing the best two players they could. So what we have is the Tigers giving up six years of Knebel, six years of Thompson, six years of Adames, four plus years of Smyly, and a year plus of Jackson for a year plus of both Soria and Price.That’s a high cost but it’s one that makes them more likely to win the 2014 World Series and probably the 2015 World Series. And everything after that doesn’t matter. Let me say that again. Everything after 2015 doesn’t matter. This is the window. Cabrera and Verlander are getting older. Scherzer is leaving. Porcello might be gone after next year. Kinsler won’t be this good forever. The Tigers are going to have a shot this year and next and then they’re going to have to retool. That might only take a year, but it also might take five. And the owner doesn’t care. He’s getting older and wants a winner. The general manager has done just about all he can do in this job except win a title. This is it. It really is. So the Tigers borrowed from the future to go for it now. And they should have. And they added two great players and I’m excited for the showdown in October. The only thing Dombrowski got wrong was not going bigger. He could have gotten Miller too. Or Koji. Or Glen Perkins. Or something. Dave made the team better and he did it the right way. My only gripe is that he probably should have thrown two more good prospects at a team to get one more piece. Because it’s now or never. Dave almost nailed it, but he still did one heck of a job. Nothing is going to match what he did in 2011 or in the 2008 offseason, but this might be the one big deal that puts a trophy on Mike Illitch’s mantle. Money be damned, future be damned. This is it. What do you think the Tigers would have had to do to get Andrew Miller? I can’t imagine they could have reasonably been expected to trump Eduardo Rodriguez. He grades out higher than pretty much anybody the Tigers have left, though I guess Ray would be comparable. So, I guess what I’m asking is: would you have made that move? Ray for Miller? Yeah, Ray plus a little filler. If Ray is gone, what do we have resembling a fifth starter when Max walks next season? It seems to me that closes the window to just this year.